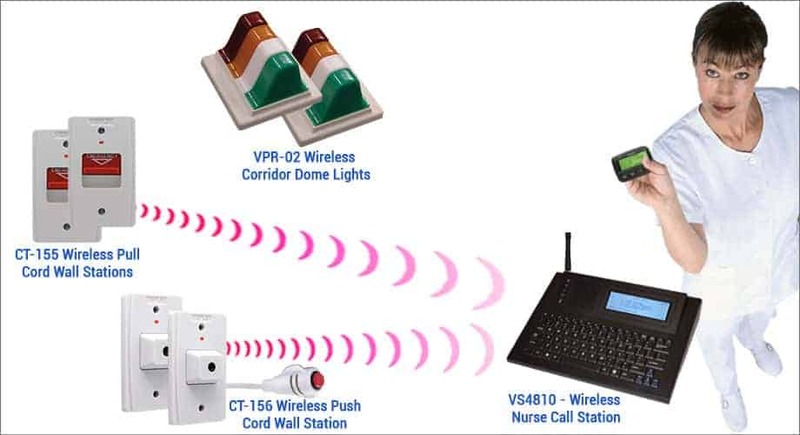 Wireless Nurse Call System, modular, easy to install solution. Visiplex’s wireless Nurse Call System, helps improve communication between patients and facility caregivers, helping reduce response time, improved level of care, and increase overall efficiency. 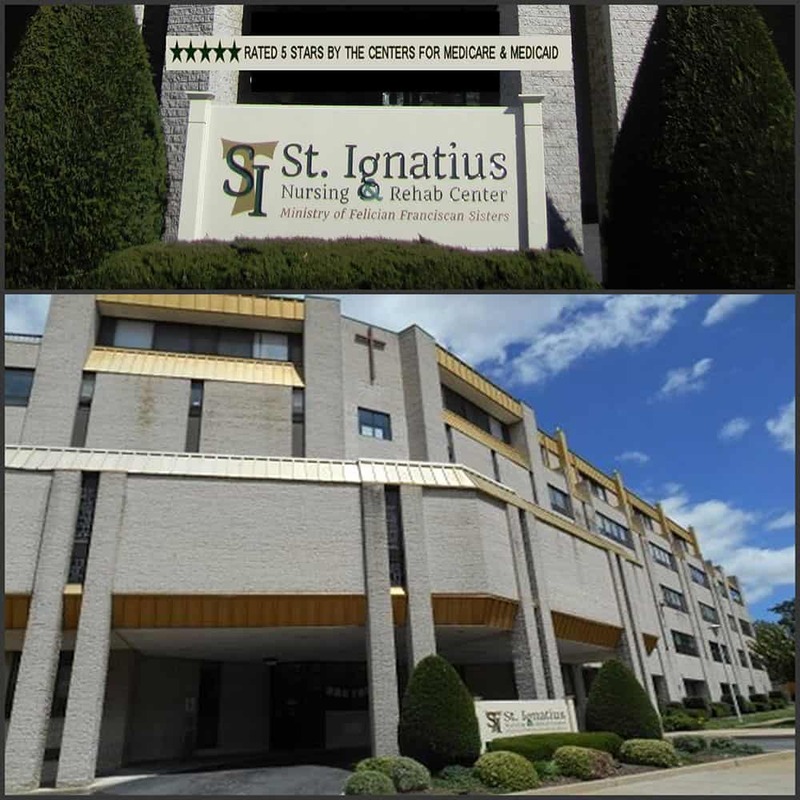 St. Ignatius Nursing & Rehab Center is a four-story, 92,000 square foot assisted living facility in Philadelphia, PA. Due to a failing, hard-wired nurse call system, Tom Koch, the Director of Plant Operation, was looking for an alternate solution that would fit the building’s old age, heavily constructed structure, and limited budget constrains. The replacement system he had in mind needed to include bedroom/bathroom pull/push cord call stations, two-color dome lights outside each room, a main nurse station console with monitoring and reporting capabilities. Due to limited budget the system installation was divided into two phases. Phase one of the system included the VS4810 as the main nurse station console, 31 CT-156 Wireless Call Cord Wall Stations, 11 CT-155 Wireless Pull Cord Wall Stations, 15 VPR-02 Wireless Room Dome Lights, two WPRP-1 RF signal repeaters for improved coverage and 2 VP-4 pagers for caregivers instant notification. The system is equipped with a VNS2000 software package that provides real-time visual system monitoring, email notifications, and full system activity reports. Six months after being installed and being fully functional, the system was expanded to other areas of the facility. 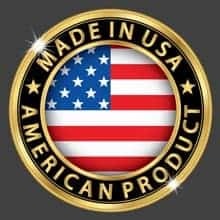 Including: 32 additional CT-156 Wireless Call Cord Wall Stations, 13 CT-155 Wireless Pull Cord Wall Stations and 13 VPR-02 Wireless Dome Light fixtures. Visiplex’s wireless call stations are equipped with a lithium battery that can last up to 10 years which aids in minimizing maintenance costs. Another important feature is that any and all malfunctions are instantly reported to the main nurse station and alerted to the administrator pager. Basic system installation was performed by in-house maintenance. The total cost was less than $19,000 – significantly less than any other proposed solutions quotes received. Wireless, complete auto-monitoring of room wall stations, providing instant notifications when help is needed. Wireless, supervised, two-color corridor dome lights, visually identifiable for bathroom or bed calls. System Activity Report feature provides device call activation and call cancel logs to address caregiver performance and any resident’s discrepancy of response times. Pocket pagers allow limited night staff mobility throughout the facility without having to be at fixed nurse station for call alerts. Being a modular, wireless solution, the system can easily be expanded to include additional pull cord stations, corridor dome lights and other wireless nurse call system components as needed. Pull stations and bed cords are easy to relocate when painting or updating resident rooms.